Your client relationships are confidential. Your network should be, too. 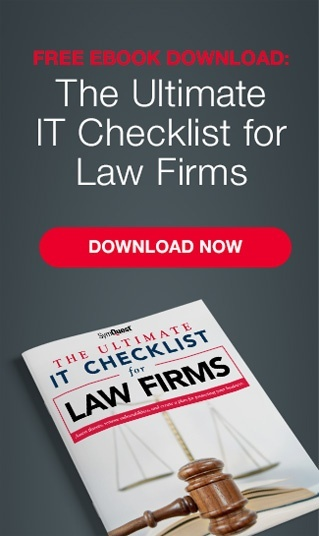 Security and compliance are critical for law firms, but day-to-day challenges mean that IT security can slip through the cracks. Attorneys need to focus on running their firm—not worry about the technology that makes it possible. As northern New England’s #1 Managed Services Provider (MSP), SymQuest offers end-to-end IT solutions that let you get back to doing what you do best—supporting clients and closing cases. Working with the SymQuest team has been seamless and totally transparent… I look forward to working with them for years to come. Firm Administrator, Facey Goss & McPhee P.C. 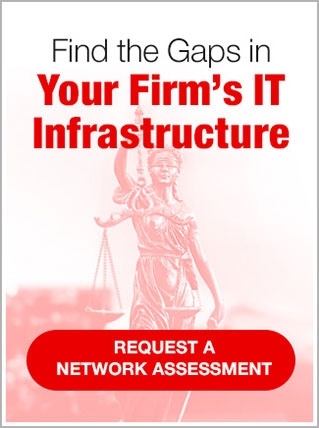 Committed IT support and service for every area of your law firm. SymQuest helps your firm build a complete plan for managing the exchange of data and processes involved in your IT infrastructure, including the transfer of privileged information between clients and counsel. 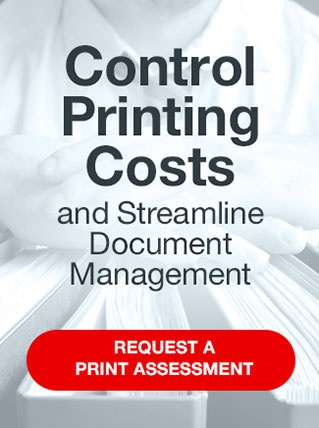 From help desk support and network management to secure, efficient printers and copiers, SymQuest provides expertise and support for every area of your business. Our IT consultants, and engineers, will assist your firm with infrastructure needs that pertain to common technology legislation including; the Health Insurance Portability and Accountability Act (HIPAA), the FTC Fair Credit Reporting Act: Disposal Rule, the Gramm-Leach-Bliley Act, the Health Information Technology for Economic and Clinical Health (HITECH) Act, and the American Bar Association’s Model Rules of Professional Conduct. SymQuest serves more than 20 major law firms in Northern New England. Our footprint in the legal sector spans four states: New York, Vermont, New Hampshire and Maine. Take the first step toward better business technology. Contact SymQuest to get started today.